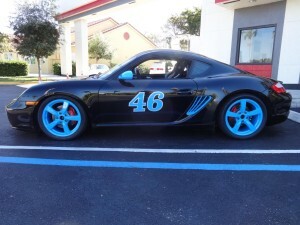 TuneRS Motorsports offers in-house race vehicle fabrication services. From complete weld-in roll cages, custom oil cooling, suspension setups, to engine rebuilding and more. We build our race vehicles to run with the best and finish each race. Reliability and durability are the two most important key factors in our racing vehicle builds. Our race vehicle development comes from years of on track experience stretching all over the world from the US to Europe and South America. We have the experience and expertise to prepare and build these vehicles for competition in sanctioned racing competitions such as PCA Club Racing, POC, PBOC, FARA, Grand-AM (IMSA Tudor) and have worked on numerous racing projects with other professional racing organizations in FIA WEC championships. 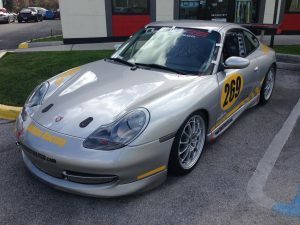 While, our main focus and specialty is with Porsche racing as TuneRs has been involved with Porsches for many years, we can offer race vehicle builds for any brand. One of the fastest growing Porsche racing classes today. Our Spec Boxsters are unmatched in quality and design. Spec Carerra 996 & racers are constantly expanding with new entries every year. 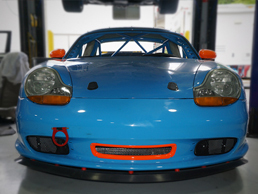 Cayman racing is growing and we have assembled ST, Interseries and Spec Cayman vehicles for our clients. Remember, the first race you win is the one you finish!